As a Senior Product Manager on the App First initiative, you'll craft the product strategy of Etsy's buyer-facing native app & work closely with your partners in engineering, design, analytics, marketing, & business development to ensure the successful delivery of products that create real value for our customers. We're all about product that's all about people. 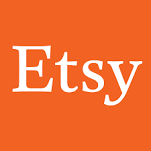 Product managers at Etsy create impactful, human-centered experiences across Etsy's native, web, & email products. They collaborate with small, multidisciplinary teams to empower creative people around the world to sell & buy the things they love. This is a full time position in Brooklyn, NY.